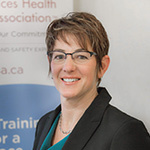 Henrietta Van hulle is the Executive Director for Health and Community Services with Public Services Health and Safety Association (PSHSA). Henrietta has over 25 years experience in the health care sector and occupational health and safety. She has a Bachelors in Nursing degree and is completing her Masters of Health Service Management. She has her Canadian Registered Safety Professional designation and is also a Certified Occupational Health Nurse, an Infection Control Practitioner and Internationally Certified Disability Management Practitioner. She and has spoken at provincial, national and international conferences on the subject of workplace violence prevention, bullying, disability management and Healthy Work Environments. 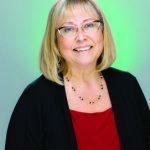 Marilyn obtained her Certified Management Accountant (CMA) designation in 1989 and has over thirty years of experience working in the accounting and operational departments of a Burlington manufacturing firm. In 2010, Marilyn joined Foto Source Canada Inc. to head up the finance department. Today, Marilyn holds the position of Director of Finance for Foto Source Canada Inc.
For 17 years, John has successfully managed the delivery of information technology services and solutions in both the public and private sectors. He graduated from York University with a Bachelor of Arts degree and achieved EXIN certification for IT Service Management from Loyalist College. As a member of COACH, Canada’s Health Informatics Association, and a founding board member of the Society of Information Management, Toronto Chapter, John is passionate about creating value and advancing healthcare with technology. John previously served as Managing Director for The IT Agency, worked for the Ontario Safety Association for Community and Healthcare as the firm’s Chief Information Officer (CIO), provided IT consulting services for Currie and Wiltshire Inc. and held a senior level position with Symantec Corporation, a global, security software company. Dr. Lori Schindel Martin is the Associate Director, SRC, and an Associate Professor at Ryerson University (Daphne Cockwell School of Nursing) and has held several advanced nursing practice positions in gerontological nursing over the past twenty years. Her program of research focuses on the health care needs of seniors living with cognitive impairments. Current research studies include: evaluating professional development programs developed to enhance the management of responsive behaviours exhibited by residents with dementia in long-term care facilities, and an exploration into the mealtime experiences of older adults with cognitive impairments. Lori currently teaches in the undergraduate and graduate programs, with a special interest in high-fidelity mannequin simulation. Lori also acts as a faculty advisor to graduate students and is involved in graduate student supervision. She is the Chair of the Gentle Persuasive Approaches (GPA) Advisory Committee, a national initiative focusing on the development and evaluation of educational objects designed to enhance the practice of front-line staff working with frail older adults in long-term care facilities. She is also actively involved in the Ontario Gerontological Nursing Association, an interest group of the Registered Nurses Association of Ontario (RNAO). Barbara McCoy is a Registered Nurse and a Dementia Educator & Psychogeriatric Consultant. 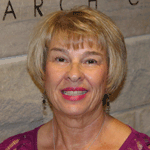 Barbara has worked in Psychogeriatrics in hospital, community and LTC for the past 40 years. 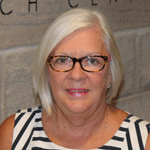 Barb is also a Certified Gerontological Nurse through the Canadian Nurses Association. Barb graduated from McMaster with a B.A. in Gerontology and B.A. in Sociology. 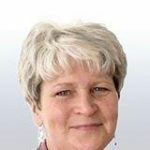 Barb has worked in health care sectors in the community, as well as Long Term Care, where she coached Best Practice and/or evidence informed practice. Barb is also involved with applied research projects that improve the quality of life in persons with dementia. Barb serves on the AGE Board as Past Chair and member of the AGE Executive Board. Barb also currently is involved with the oversight of the GPA curriculum revisions. Barb believes that AGE Inc. leads the way in developing research and evidence based programs that will not only improve the quality of life for the person living with dementia, but also improve the quality of care given by the caregiver. Susan Wright is a Lifestyle, Leadership, and Organizational Coach and founder of Wright Momentum, a Coaching and Consulting business helping professionals, leaders and organizations challenge the status quo, build capacity for conscious change, and create meaningful results. 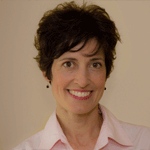 Susan has coached and consulted within the public, healthcare, and social service sector over the past 15 years. She has led change initiatives within complex healthcare organizations, focusing on employee engagement, leadership development, and team effectiveness. She has held various roles including Spokesperson for Kellogg’s, Project Consultant for two provincial non-profit organizations, Recreation Therapist in two teaching hospitals, and part-time faculty at a community college. Susan has her Associate Certified Coach (ACC) designation with the International Coach Federation, is certified to administer the Emotional Intelligence Assessment: EQi Multi-Health Systems, and LEADS 360: Canadian College of Health Leaders. She received her coaching certification from the Adler School of Professional Coaching and earned her Honours BA from the University of Waterloo. As a trusted advisor, empowering coach, and collaborative leader, Susan is passionate about building dignified communities and creating positive change, synergy, and strategic direction for the people, initiatives, and organizations she serves. Julian Quinton is Director of Insurance Planning and Communications for International Insurance at Scotiabank. He has over a decade experience at senior manager and director levels at Scotiabank focusing on international markets; Julian has specialized in the fields of sales & service design, business planning, strategy development, marketing and communications management. 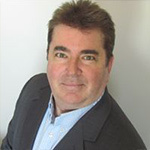 He also has 20 years of combined experience in performance consulting and employee training which included many years as an instructional designer in the healthcare insurance industry. 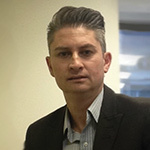 Julian completed his MBA and holds a BA Degree (with double majors in Clinical Psychology and Communication), HR Management Diploma and a certificate in Management Accounting. He is a registered assessor of adult learning (South Africa), licensed for Facet5 personality testing and completed his certification as an employee coach through Horn Consulting Toronto. Catherine is a gerontologist who specializes in the social, biological and psychology of the elderly. 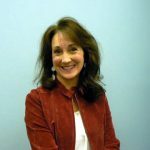 A health care consultant for over 25 years, she provides expertise in health care organizational management, program development and evaluation, research implementation and translation into better health care practices. She is a dynamic authority on Ontario’s Personal Support Worker (PSW) occupation, her primary research interest. She is past Executive Director of a Community Health Centre and Community Organization, past Board Member of the Ontario Community Support Association, the Public Health and Safety Association for Government Services and the Seniors Health Knowledge Network. She has published in peer-review journals and presents at academic and healthcare sector conferences. In addition to her Bachelor of Science and Bachelor of Business Administration degrees, Patricia also studied nursing for a year and a half. She has more than 25 years of experience in healthcare management roles. Her first management position was as the Director of a provincial personal emergency response service and call centre offering supportive daily calls to people living alone. She then managed a home care branch in Halifax, until heading back to long-term care as the Director at an Adult Residential Centre. An exciting career change took Patricia to New Brunswick where she has since worked in various leadership roles that have supported the older population. As a Past Chair for the Aging Well Network, Patricia connected with many organizations that supported independence in the older population. Both career and volunteer work, particularly her role as a co-facilitator for a caregiver support group, have kept Patricia connected to people living with dementia and their care providers. She became aware of Gentle Persuasive Approaches® (GPA) a few years ago, while interviewing a person who had obtained their GPA certificate. She felt immediately that GPA was a missing piece to much-needed education for all people working in settings that supported those living with dementia. Currently, Patricia is the Executive Director at Westford Nursing Home in Port Elgin, New Brunswick, where she sees Gentle Persuasive Approaches supporting residents every day. 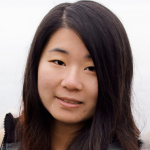 Anny works as a Senior Financial Analyst in the Financial Planning & Budgeting team at Cancer Care Ontario, an agency of the provincial Government of Ontario responsible for improving cancer services. Previously, she worked at The MasterCard Foundation, a global foundation that partners with various not-for-profit organizations to improve access to education, skills, training and financial products and services. Anny has a Bachelors in Accounting and Financial Management and a Masters of Accounting from the University of Waterloo. She is passionate about mentorship and giving back to her community. She participates in CPA Ontario’s Tax Preparation Assistance program and is currently a CPA Mentor, supporting future CPAs as they acquire the competencies expected of a Professional Accountant. J.D. (Juris Doctor), Hons B.A. While in law school, Ciera was involved in extracurricular activities and gained valuable practical experience, serving as an executive member to the Osgoode Law Italian Canadian Association, the Osgoode Hall French Club and the Osgoode Hall Family Law Association.During her second year, she was selected to act as a Dean’s Fellow to first year students in Torts Law. She was also asked to participate in the Anti-Discrimination Intensive Program. As part of this program, she spent a semester working full time as a law student intern at the Human Rights Legal Support Centre. Last year, Ciera’s research paper, “A Call for Review of the Assisted Human Reproduction Act,” was published in two separate parts in RegQuest. Interested in a position on our Volunteer Board of Directors? If you have an interest in serving on the AGE board and contributing your time, skills and expertise to helping us with our mission of enhancing the care of older adults by learning together, please contact Patti Boucher, AGE Executive Director at boucherpat@hhsc.ca or 905 777 3837 ext. 12488.